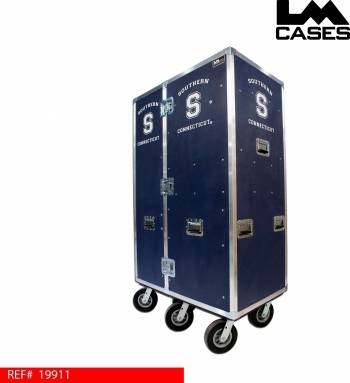 This trunk was designed for Southern Connecticut University to use as a trainers supply station on the sideline. 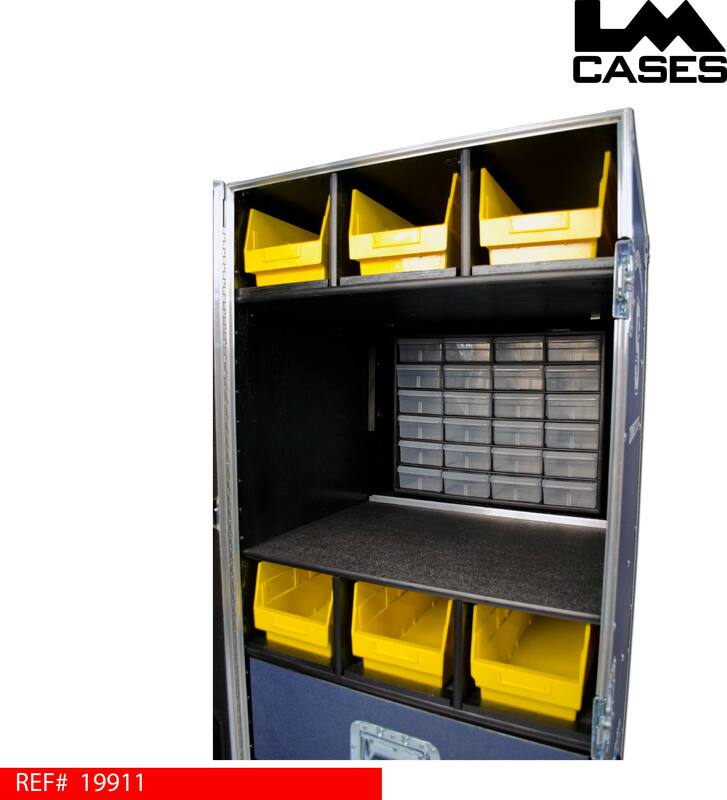 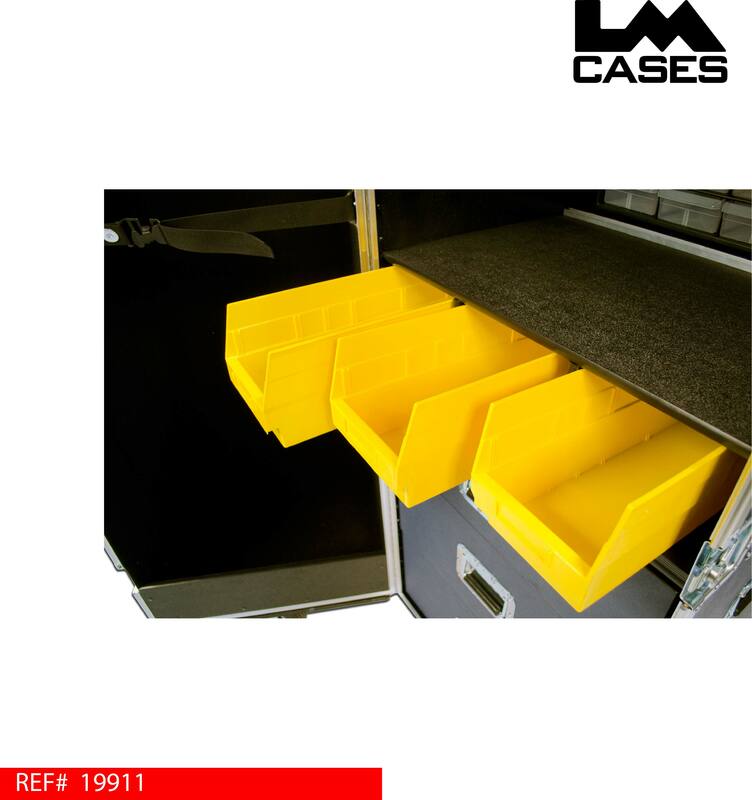 The right half trunk features 6 deep plastic bins, a 24 bin small parts unit and 3 wooden drawers mounted on HD glides. 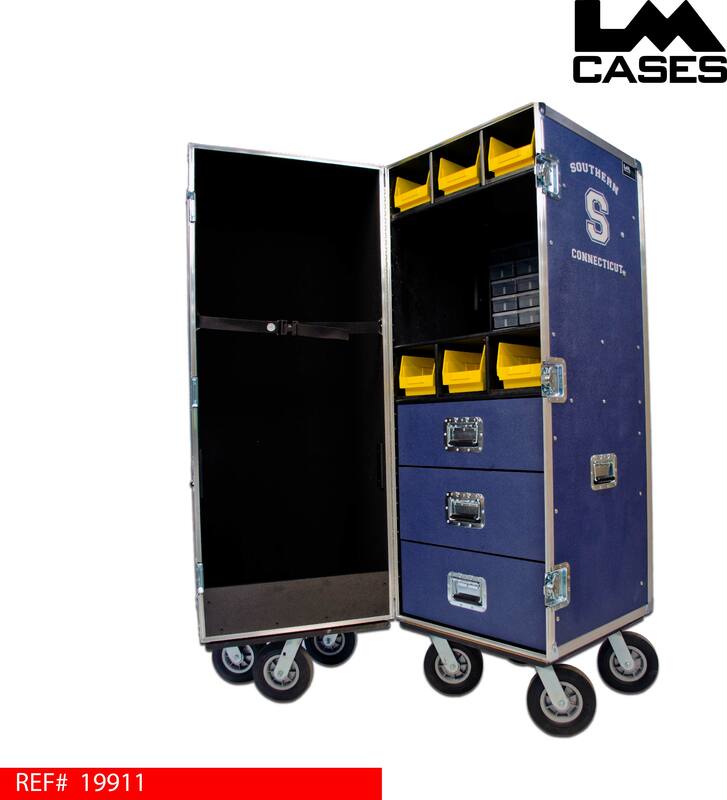 The left half of the trunk is open and black carpet lined for general storage of items like tape boxes and or a stretcher. The exterior case is built out of 3/8" plywood laminated with navy blue ABS plastic and features recessed handles, 8" field casters and a silkscreen of the Southern Connecticut logo.